Fatalities on U.S. roads rose alarmingly last year and so far 2016 is on track to be even worse. In the week before much of the nation hits the road for the long Labor Day weekend, the federal government issued what it termed an unprecedented call to action to determine what's gone wrong. 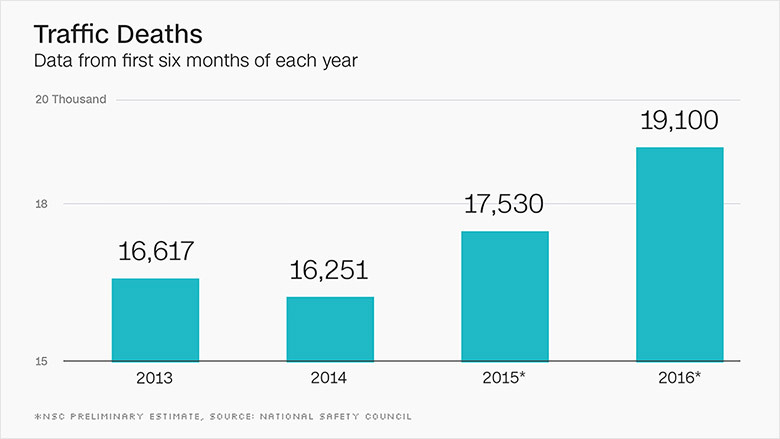 In 2015, deaths on U.S. roads jumped to 35,092 -- up 7.2% from 2014. That was the largest increase since 1966. 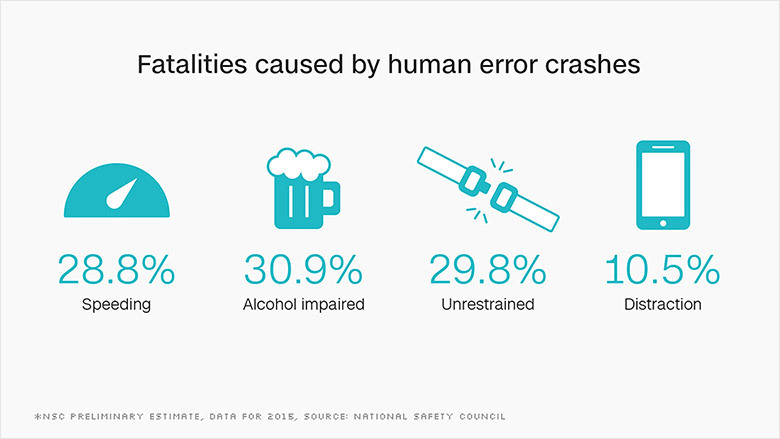 And the National Safety Council said last week that fatalities were up 9% in the first half of 2016. But traffic safety experts said there was no single culprit for the surge in motor vehicle deaths. Smartphone use, cheaper gas prices, climate change and a strong economy all play a role. 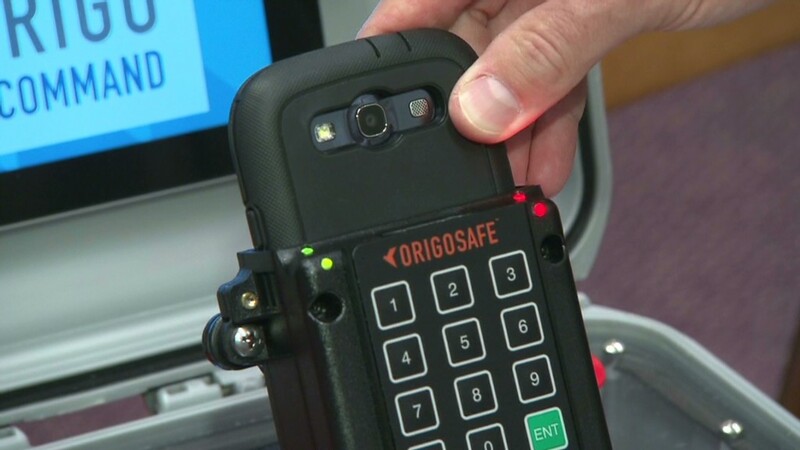 "It's a very complex system," said Ken Kolosh, the director of statistical reporting at the National Safety Council. "You can never say emphatically it's these two or three things." Driving while distracted: Can technology stop the problem it caused? Cheap gas prices -- driven in part by more fracking -- has led more people to spend time (and rack up more miles) on the roads, increasing the chances of getting into a crash. And now that the U.S. economy has recovered from the recession and unemployment has dropped, more people are driving to work. More commercial vehicles on the roads increases the likelihood of collisions between hulking trucks and cars. In stronger economic times, teenagers -- who are high-risk drivers -- are also more likely to be driving to jobs. Not surprisingly, smartphone use has increased the prevalence of distracted driving. For example, the NSC found a 34% increase in deaths in Georgia. The state is seeing more single vehicle crashes, lane departures, over-corrections and striking of fixed objects. "These are characteristics of distraction, and we believe texting to be the primary [cause]," said Harris Blackwood, the director of Georgia's highway safety office. Highway safety officials in Illinois -- which is among the top states to see a large jump in deaths -- said a milder winter was also to blame for increasing the death toll on roads. The U.S. experienced its warmest winter ever in 2015 - 2016. With better weather, people are more likely to spend time outside on motorcycles and bicycles. Pedestrians are also more inclined to be outside during nice weather, creating more chances to be injured. "Bad winter weather actually saves lives. While it's tough to drive in winter weather, drivers know that and avoid it," said Kolosh. In 2015 traffic related deaths were at their lowest in February when 2,380 people were killed, and spiked in August with 3,680 deaths, according to the NSC.